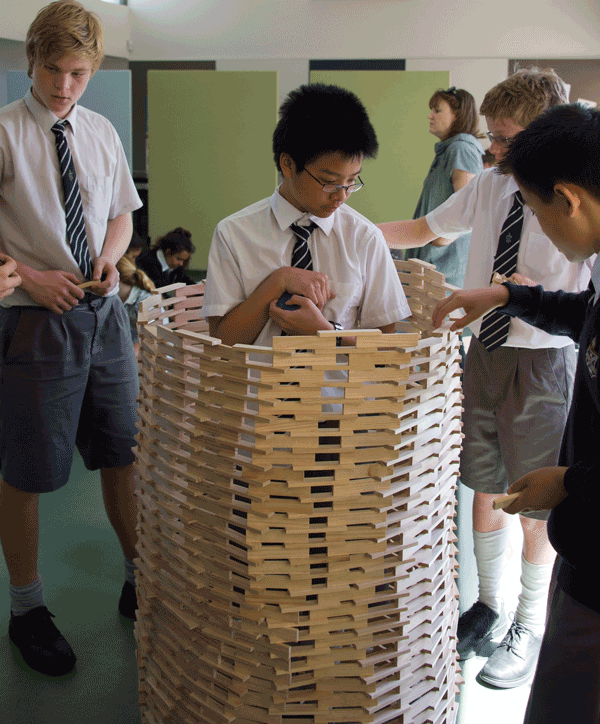 Green Hat Workshop – Open ended toys, play-based workshops, school incursions and so much more. 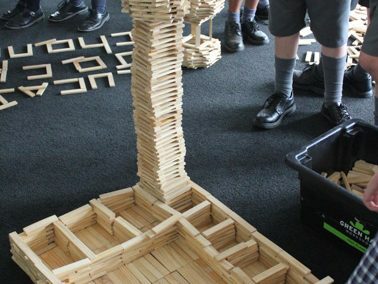 Imagine a hall filled with students of different ages and abilities, ALL working together to create and solve their own engineering challenges. 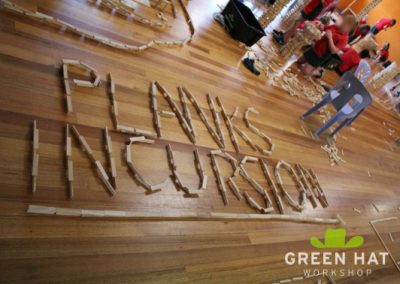 -Welcome to a Green Hat Workshop PLANKS Incursion. 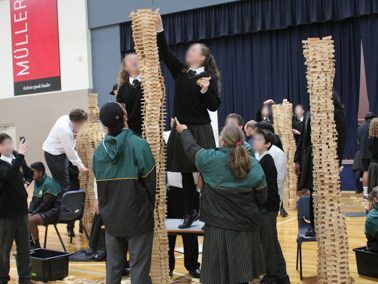 You may have recently experienced the magic of working side-by-side with your class-mates, building with Green Hat Workshop’s collection of 1,000s of PLANKS construction blocks, or your child has returned from school and you are trying to work out what it was that they did today and why they were ‘playing’ at school. 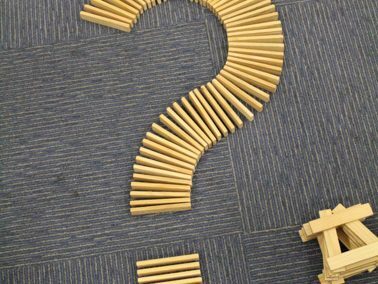 We hope, while you’re here, that you check out our photo album and stay in touch with us by joining our building community through Facebook, Instagram and our mailing list. 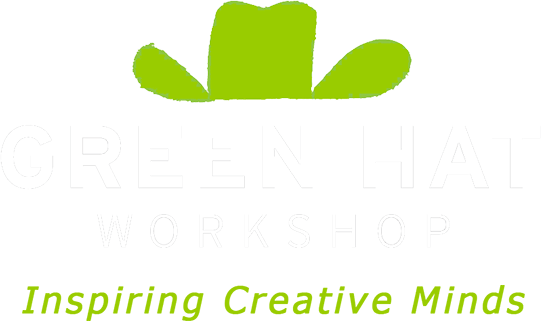 Green Hat Workshop tailor creative, play-based experiences to any situation, running and participating in various events throughout the year. 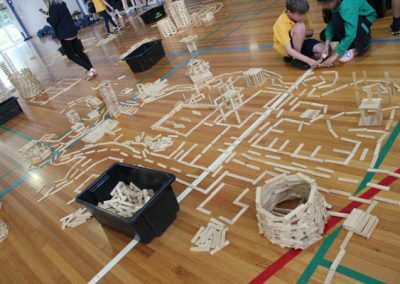 We specialise in play-based programs where participants of all ages and abilities participate simultaneously. 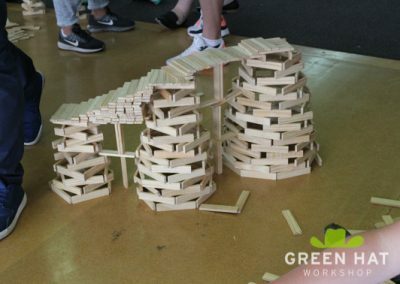 Due to popular demand Green Hat Workshop now run PLANKS parties. 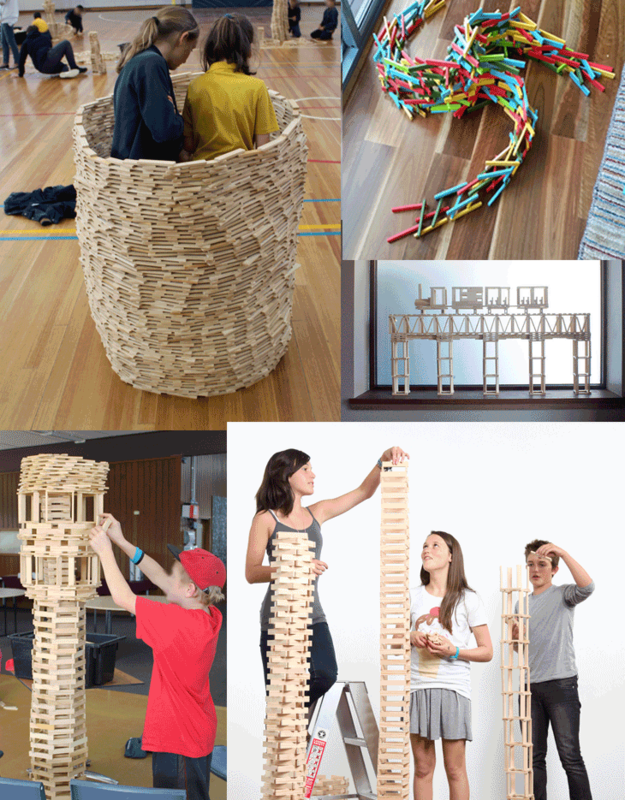 These can be children’s parties or larger events for friends and extended family. 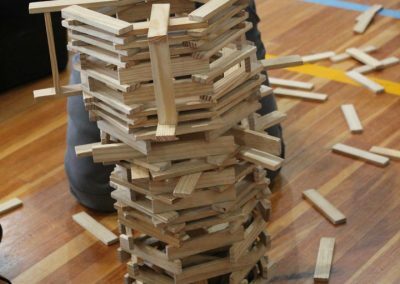 Our facilitators display the potential of PLANKS and are on hand to offer suggestions and ideas for construction and to facilitate creative play. 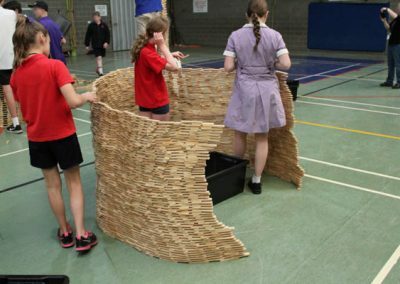 We can operate as a ‘drop-in’ activity or as the main focus of the party. We do not run challenges or competitions. 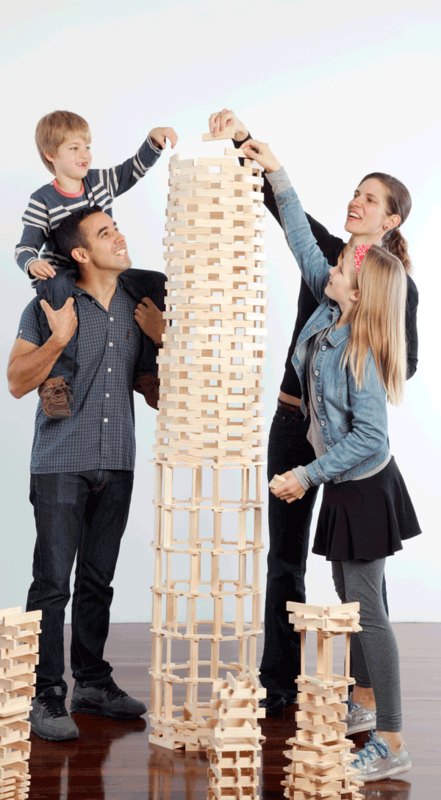 PLANKS Parties have a base fee of $400 and include a 100 Natural PLANKS kit. A travel levy is applied to distances over an hour from Melbourne.